"To me, eyewear goes way beyond being a prescription. It's like makeup. It's the most incredible accessory. The shape of a frame or the color of lenses can change your whole appearance." - Vera Wang. EYEWEAR consists of items and accessories worn on or over the eyes, for fashion or adornment, protection against the environment, and to improve or enhance visual perception. 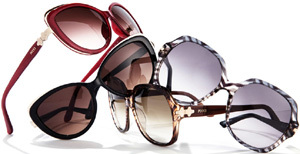 Common forms of eyewear include glasses (also called eyeglasses or spectacles), sunglasses, and contact lenses. Eyewear can also include more utilitarian forms of eye protection, such as goggles. Conversely, blindfolds are a form of eyewear used to block vision for a variety of purposes. SUNGLASSES or sun glasses are a form of protective eyewear designed primarily to prevent bright sunlight and high-energy visible light from damaging or discomforting the eyes. They can sometimes also function as a visual aid, as variously termed spectacles or glasses exist, featuring lenses that are colored, polarized or darkened. Many people find direct sunlight too bright for comfort. During outdoor activities, the human eye can receive more light than usual. Healthcare professionals recommend eye protection whenever the sun comes out to protect the eyes from ultraviolet radiation (UV) and blue light, which can cause several serious eye problems. Sunglasses have long been associated with celebrities and film actors primarily from a desire to mask their identity. 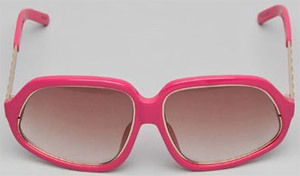 Since the 1940s sunglasses have been popular as a fashion accessory, especially on the beach. GLASSES – also called eyeglasses (formal), spectacles, or specs (informal) – are frames bearing lenses worn in front of the eyes, normally for vision correction or eye protection. Safety glasses are a kind of eye protection against flying debris or against visible and near visible light or radiation. 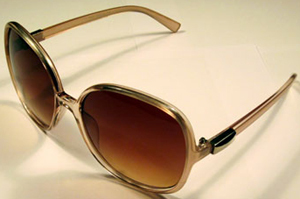 Sunglasses allow better vision in bright daylight, and may protect against damage from high levels of ultraviolet light. Other types of glasses may be used for viewing visual information (such as stereoscopy) or simply just for aesthetic or fashion values. BESPOKE is a British English word that means a clothing item made to a buyer's specification (personalised or tailored). While the term historically is applied to only men's tailored clothing, it now generally includes footwear, fine jewellery and other apparel, implying measurement and fitting. Synonyms are "custom-made", "made to order", and "made to measure". 7 POLARIZED SUNGLASSES FOR SUMMER FUN - Wired. 10 of the best sunglasses for men - The Telegraph. 20 Pairs of Sunglasses Your Favorite Celebs Can’t Stop Wearing - Travel + Leisure. 20/20 Vision - term for visual acuity in which the numerator refers to distance and the denominator refers to size. 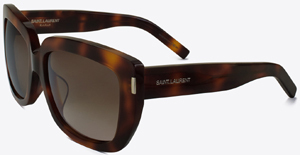 21 pairs of designer sunglasses that will last beyond the summer - The Telegraph. 29 of the best sunglasses to buy now - The Telegraph. 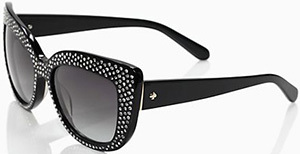 100 Best Sunglasses - English Vogue. A Simple Way to Improve a Billion Lives: Eyeglasses - The New York Times. Agresti - box for 4 eyeglasses in polished white bird’s eye maple. Ally Capellino - Leather Glasses Chain. 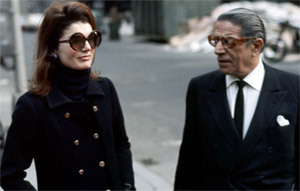 Behind the company that made Jackie O & Yves Saint Laurent's famous glasses - The Telegraph. best sunglasses to buy now - The Telegraph. Breo iSee4 Wireless Digital Eye Massager - with Heat Compression & Music. Offers three massage modes - air pressure, vibration, and heat massage - to relieve tension around the temples. Can a Cup of Hot Tea a Day Help Preserve Eyesight? - The New York Times. CHARVET - founded in 1838. French high-end men's shirt maker & tailor located at 28, place Vendôme in Paris, France. "Getting a decent amount of shut-eye is key to feeling your best and Charvet's eye mask will make resting easy. It's been crafted in France from houndstooth silk-jacquard and has an elasticated strap for a snug fit. The padded front adds some gentle pressure to help you nod off peacefully." cinemizer OLED video glasses - "CinemizerOLED video glasses offers sharp and lively immersive experiences. Perfect to fly your drone in First Person View, to enjoy HD content for private cinema sessions when connected to your phone, gaming console or TV box." 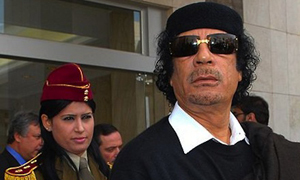 GADAFFI'S SUNGLASSES - "Colonel Gadaffi likes wearing sunglasses." Ghurka - "Fine Handcrafted Leather Gear Made in Norwalk, Connecticut Since 1975." Glasses wearers really are more intelligent - it's in the genes - The Telegraph. Google Glass - augmented reality wearable computer with a head-mounted display (HMD). Google Glass displays information in a smartphone-like format hands-free, can interact with the Internet via natural language voice commands, and uses Google's Android operating system. While the frames do not currently have lenses fitted to them, Google is considering partnering with sunglass retailers such as Ray-Ban or Warby Parker. FAQ. GOOGLE GLASS 2.0 IS A STARTLING SECOND ACT - Wired. Google Glass Enterprise Edition - "Businesses have been getting hands-on with Glass Enterprise Edition." Thanks for exploring with us. The journey doesn't end here. You'll start to see future versions of Glass when they're ready (for now, no peeking). Google Glass is back from the dead - The Verge. Google patents smart lenses you inject into your eyes - engadget. Hi-tech glasses for ageing eyes - "Hi-tech glasses offer alternative to bifocals." How to ensure that your glasses won't let your party outfit down - The Telegraph. Illesteva - "Design Your Own." Handmade in Italy. Men's & women's sunglasses. Intelligent Glasses - glasses that can translate text by NTT DoCoMo. 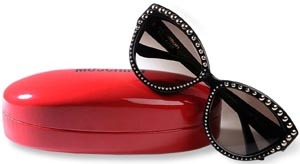 La Portegna - women's sunglasses leather cases. Laser eye surgery - "It’s gruesome - but you’ll see the zombies coming." Launer London - "Handcrafted in England." Men's & women's spectable cases. Le Noeud Papillon - silk eye shades. Lots of People Are Losing Distance Vision, and No One Knows Why - Wired. 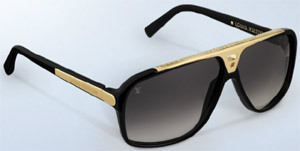 Louis Vuitton - eyeglass & sunglass cases. Lucrin - founded in Switzerland in 1994. Cases for glasses. Meta Pro Space Glasses - reality headset that supports cool stuff like 3D visualizations, facial recognition, virtual gaming, laser tagging, voxel editor and more. Microsoft Hololens - "Microsoft HoloLens is the first self-contained, holographic computer, enabling you to engage with your digital content and interact with holograms in the world around you." 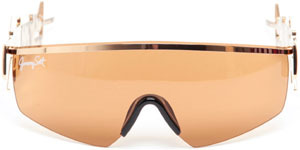 Off piste: why oversized ski goggles are the hottest look this year - "Trend for sporty sunglasses led by Kim Kardashian West, Rihanna and Rita Ora." Pencil Pushups - one of the major vision therapy exercises for Convergence Insufficiency and other binocular deficiencies. Plemo Upgraded Sleep Mask - "100% Pure Silk Eye Cover with Reusable Ice Pack for Hot & Cold Therapy, Comfortable & Super Soft Eye Mask With Adjustable Strap." SNAPCHAT SPECTACLES ARE HERE: THEY ARE RIDICULOUSLY FUN - The Verge. Snapchat's Spectacles are low-risk move into wearables - engadget. sousveillance - definition & explanation. Snap Spectacles: Are They the Face Camera We’ve Been Waiting For? - Wired / YouTube 4:22. Snap’s Spectacles now available directly from Amazon - The Verge. Spectacles by Snap - "Your hands-free camera." Spectacles are sunglasses that capture your world, the way you see it. Just press, then play. Spectacles capture your perspective with circular photos and videos, reflecting the way you see the world. Press the button to record a 10-second video. Press again to keep recording up to 30 seconds. Press and hold to take a photo. 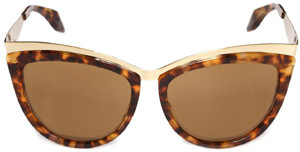 Spring shady: the 10 best sunglasses - in pictures - The Telegraph. SUNGLASSES-ID.COM - "Serious About Celebrity Sunglasses & Eyeglasses." The hidden math behind your DMV’s eye test - "That familiar eyesight chart revolutionized vision testing, and we went to ridiculous lengths to test it out." THE RACE FOR AR GLASSES STARTS NOW - Wired. The Return of Aviator Glasses - The New York Times. The snazziest sunglasses under £200 to liven up your look now - The Telegraph. The Tiniest Sunglasses at New York Fashion Week 2018 -TIME Magazine. 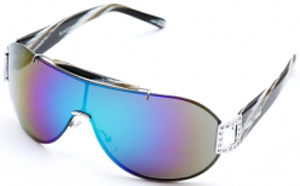 The World’s 10 Most Expensive Sunglasses - TheRichest. THESE MAGICAL SUNGLASSES BLOCK ALL THE SCREENS AROUND YOU - Wired. This is ground - "This comfy sleeve offers just enough room for your retro round wires or your oversized sunnies. The design features a supple and slightly textured exterior made from hides that are veg-tanned in Tuscany." Training Your Brain So That You Don’t Need Reading Glasses - The New York Times. TRY ON YOUR NEXT PAIR OF GLASSES USING JUST YOUR IPHONE - Wired. Viola Milano - Glasses cases in 100% silk. 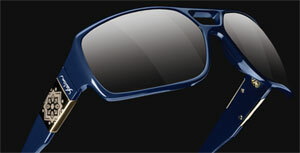 Vuzix Blade - "View the Future." World's First Augmented Reality Smart Sunglasses. Vuzix is launching the first Alexa-enabled AR glasses - engadget. Warby Parker's iPhone app lets you try on glasses in AR - "The Virtual Try-On feature is available for the iPhone X and newer." Why does it seem like serial killers all wear the same glasses? - The Guardian. Why does Karl Lagerfeld always wear sunglasses? - Quora. Why wearing the right glasses is the quickest way to give your look a new lift - The Telegraph. YOUR PC IS RUINING YOUR VISION. HERE'S HOW TO BEAT EYE STRAIN - Wired. 3.1 PHILIP LIM - men's. 3.1 PHILIP LIM - women's. 5001 Flavors - since 1992. Men's. ACNE Studios - men's & women's. Adrienne Vittadini - since 1979. Women's eyewear frames. Adrienne Vittadini - since 1979. Women's sunglasses. ALAIN MIKLI - men's & women's. Alessi - men's & women's. ALVIERO MARTINI - men's & women's. A-Morir - women's. A-Morir has been repeatedly commissioned and loved most notably by pop’s heavy hitters Rihanna, Lady GaGa, Beyoncé, Katy Perry, Grace Jones, Debbie Harry, 2NE1, and Estelle. Band of Outsiders - men's & women's. BARTON PERREIRA - "Dedicated to pure luxury." Men's. BARTON PERREIRA - "Dedicated to pure luxury." Women's. Basile - "Italian Fashion." Men's & women's. Bausch + Lomb - "See better. Live better." Contach lenses. BeYu - "Passion For Make Up." Men's & women's. BORIS BECKER 4804C - produced by Polaroid. BREIL - men's & women's. Bugatti - men's & women's. CALVIN KLEIN - since 1968. Men's. CALVIN KLEIN - since 1968. Women's. CARL ZEISS CINEMIZER - "CinemizerOLED video glasses offers sharp and lively immersive experiences. Perfect to fly your drone in First Person View, to enjoy HD content for private cinema sessions when connected to your phone, gaming console or TV box." 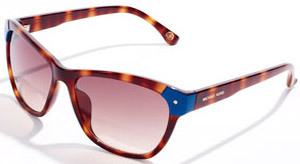 Carolina Herrera - men's & women's eyewear & sunglasses. Carolina Lemke Berlin - since 2011. Men's & women's eyewear & sunglasses. CARRERA - racing sunglasses since 1956. Men's. CARRERA - racing sunglasses since 1956. Women's. Christian Roth - since 1984. "We are visionary & iconic." 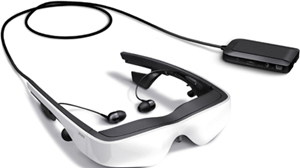 cinemizer OLED - 3D multimedia Virtual Reality video glasses by Carl Zeiss. CONNELLY - men's driving goggles. Cubitts - "Handmade men's & women's sunglasses." CUTLER AND GROSS - "The authority on eyewear since 1969." Men's. CUTLER AND GROSS - "The authority on eyewear since 1969." Women's. DAVID EDEN - "Expensive Eye Glasses with Diamonds, Rubies and Sapphires." District Vision - "Running Sunglasses Made in Japan." Men's & women's. DITA - "Handcrafted Since 1996." Men's. DITA - "Handcrafted Since 1996." Women's. DOLCE & GABBANA - men's. DOLCE & GABBANA - women's. DRIES VAN NOTEN - women's. E.B. 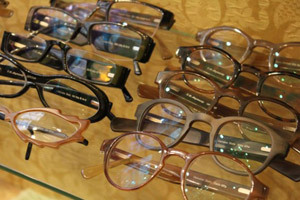 MEYROWITZ OPTICIAN - "Bespoke Eyewear. Handmade Spectables." Offering the finest acetate, buffalo horn and other rare materials, our made-to-measure spectacles are designed to a client's exact expectations. 6 The Royal Arcade, 28 Old Bond Street, London, England, U.K.
E. MARINELLA - since 1914. Women's. E.TAUTZ - founded in 1867. "Ready to wear fashion label with a Savile Row aesthetic." Men's. 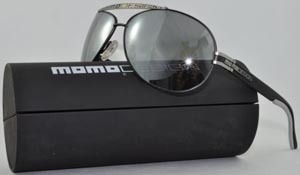 EMPORIO ARMANI 9585/S - Bono sunglasses. ETRO - since 1968. Men's. ETRO - since 1968. Women's. 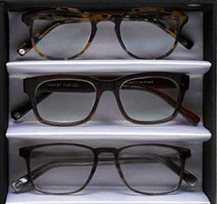 Eyevan 7285 - iconic Japanese men's & women's eyewear since 1972. 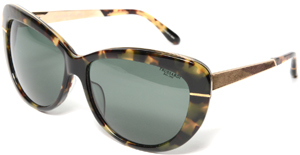 FLEYE - men's & women's eyewear & sunglasses. FranÇois Pinton Paris - men's & women's eyewear & sunglasses. FROGSKINS COLLECTORS EDITIONS - men's. Garrett Leight California Optical - men's & women's eyewear. Garrett Leight California Optical - unisex eyewear. 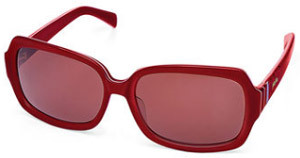 GEOFFREY BEENE - men's & women's sunglasses. GEOFFREY BEENE - men's eyewear. GEOFFREY BEENE - women's eyewear. Gresso - since 1999. 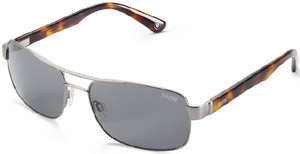 Men's Titanium Eyewear. Gresso - since 1999. Women's Titanium Eyewear. GUCCI - since 1921. Men's. GUCCI - since 1921. Women's. Haspel - "New Orleans, 1909. Made in USA." Men's. Heidi London - since 2010. 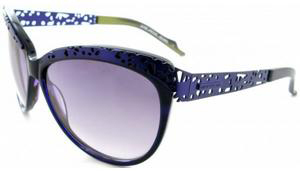 "Heidi designs sunglasses for sun, fun, fashion lovers around the world." Women's. HENRI BENDEL NEW YORK - women's. Holland & Sherry - men's. HOUSE OF HARLOW 1960 - women's. House of Holland - women's. Hyde's Spectables - men's & women's. Illesteva - "Handmade in Italy. Designed in New York." Men's. Illesteva - "Handmade in Italy. Designed in New York." Women's. JACOB JENSEN - men's & women's. 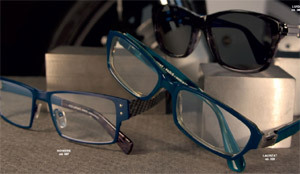 JASPER CONRAN - men's & women's eyewear. JHANE BARNES - men's eyewear. 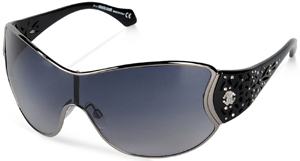 JOHN RICHMOND - men's & women's eyewear & sunglasses. JOHNSTON & MURPHY - since 1850. Men's eyewear & sunglasses. Joseph - since 1972. Women's. Karl Lagerfeld - men's & women's. 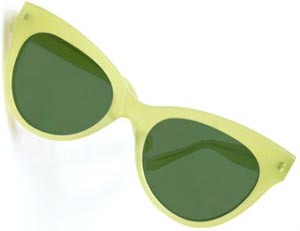 KIM JONG IL STYLE SUNGLASSES - men's & women's. KITON SUNGLASSES - "The first sartorial sunglasses." KLOKKERENT - all models. Design by Karen Walker. Women's. KRIS VAN ASSCHE - men's. KRIS VAN ASSCHE - women's. LACOSTE - men's & women's. L.A.Eyeworks - men's & women's. "Uncensored Visions." Lafont Paris - founded in 1923. Features optical frames & sunglasses. Men's. Lafont Paris - founded in 1923. Features optical frames & sunglasses. Women's. Le Specs - men's & women's. Les Deux - men's & women's. L.G.R. 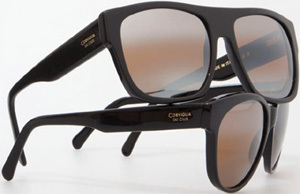 - Corviglia Ski Club sunglasses Limited 3rd Edition. 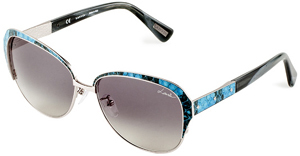 Lindberg - luxury men's & women's eyewear & sunglasses since 1969. Danish design. Chosen by some of the world's most famous celebrities. LOEWE - since 1846. Men's. LOEWE - since 1846. Women's. LORO PIANA - since 1924. "My Sunglasses." LOTUS ART DE VIVRE - women's. 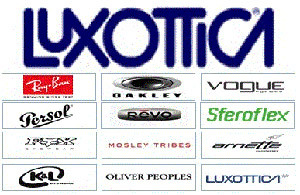 Luxottica - founded in 1961. The world's largest eyewear company, controlling over 80% of the world's major eyewear brands. 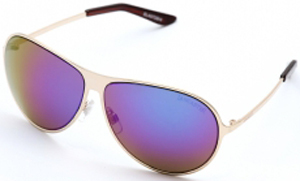 Madison & Mulholland - men's & women's eyewear & sunglasses. Maison Bonnet - men's & women's luxury eyewear & sunglasses. Handmade eyewear in turtle shell, horn or acetate & custom made glasses. Maison Bonnet celebrity customers - past & present. Makr - men's & women's eyewear cases & sleeves. MARC BY MARC JACOBS - men's & women's. MARC JACOBS - men's & women's. Maryam Nassir Zadeh - women's. Matsuda - men's & women's. MATTHEW WILLIAMSON - has been producing biannual collections with Linda Farrown since 2007. Women's. 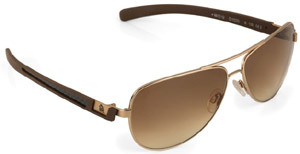 MICHAEL KORS - men's & women's. MIKLI - high-end handmade men's & women's eyewear & sunglasses. 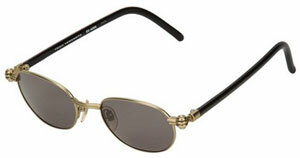 MY SUNGLASSES - men's eyewear by Loro Piana. 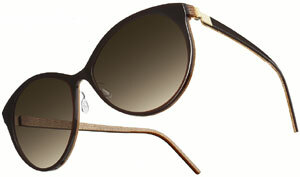 MY SUNGLASSES - women's eyewear by Loro Piana. Mykita - handmade men's designer eyerwear. 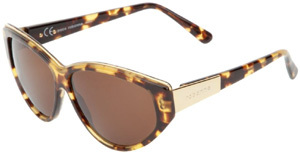 NEIMAN MARCUS - men's & women's sunglasses. 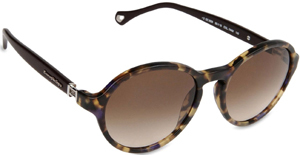 NICOLE FARHI - men's & women's eyewear & sunglasses. 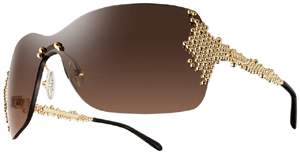 OGI EYEWEAR - women's eyewear & sunglasses. OLIVER GOLDSMITH | OG - since 1926. Customized sunglasses. One of the very few companies in the world who can still make glasses completely by hand. Think 20th Century icons. Grace Kelly. Peter Sellers. Michael Caine in his signature black spectacles. Audrey Hepburn in the big white glasses that framed her elfin face. Iconic style makers - Givenchy, Dior and Vidal Sassoon. Think cult films of the fifties & sixties, The Ipcress File, Harry Palmer, Charade and Two for the Road. They've all got one thing in common. 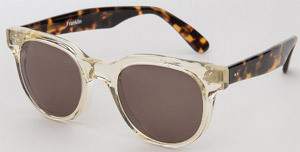 Oliver Goldsmith. 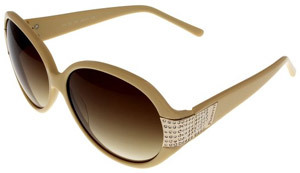 In the second half of last century, when it came to eyewear, OG was synonymous with stars and style. OLIVER PEOPLES - since 1986. Eyewear & sunglasses. Men's. OLIVER PEOPLES - since 1986. Eyewear & sunglasses. Women's. 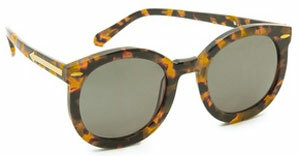 OLIVER PEOPLES - West - men's & women's. 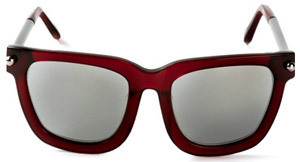 ONASSIS SUNGLASSES - by Maison Bonnet. Orgreen Optics - "Handcrafted Designer Frames & Sunglasses." Men's, unisex & women's. OSCAR DE LA RENTA - women's. OTTICANET - online designer & fashion sunglasses. Top brands. Best prices. Our Legacy - men's & women's. 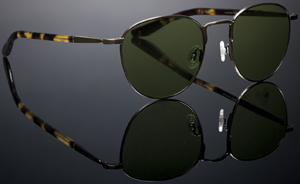 PERSOL - "Originally designed in 1957 for Turin tram-drivers, 649 soon rose from its functional beginnings. Then became a legend when Marcello Mastroianni wore it in the classic Divorce Italian Style." Philippe Starck - men's & women's. PORSCHE DESIGN - men's & women's. PRADA - since 1913. Men's. All collections. PRADA - since 1913. Women's. All collections. 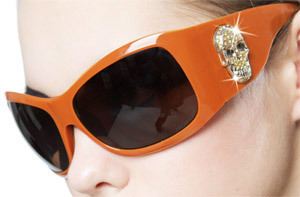 Prada Customizable Sunglasses - by PradaPrivate. Prego - "Handmade Danish design since 1966." Men's & women's. Rag & Bone - men's. Rag & Bone - women's. Randolph Engineering - since 1972. Men's & women's. RAY-BAN - "Genuine since 1937." 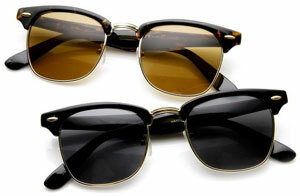 RAY-BAN CLUBMASTER Collection - men's & women's. RAY-BAN WAYFARER - since 1956. Raymond Boucheron - men's & women's. 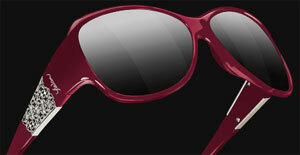 Red Hot Sunglasses - men's & women's eyewear. RED OR DEAD - men's & women's eyewear. ROCK & REPUBLIC - women's. 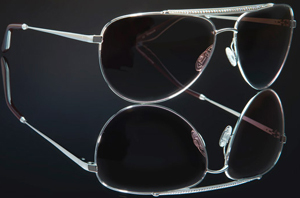 ROMEO GIGLI - men's & women's eyewear. 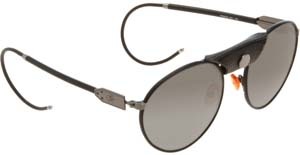 Safilo by Marc Newson - men's. 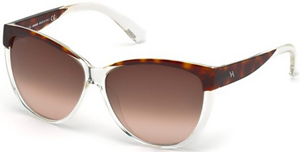 Safilo by Marc Newson - women's. 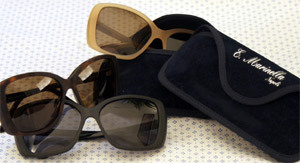 SIMPLY SUNGLASSES - "Choose from our fashionable collection of sunglasses with 100% UV protection by the top designers." SKAGEN DENMARK - Danish design. Men's & Women's. Spectacles by Snap - "Capture the Moment: Spectacles are sunglasses that Snap! Record from your perspective with the press of a button. Up to 30 Seconds: Spectacles capture video, moment-by-moment. Record for 10, 20, or 30 seconds at a time!" 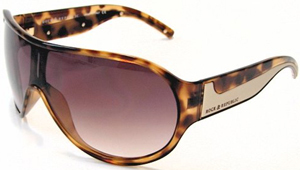 Starck Eyes - high-end handmade men's & women's eyewear & sunglasses. STETSON - founded in 1865. "Made of America." Men's. STETSON - founded in 1865. "Made of America." Women's. 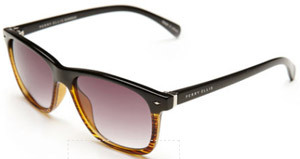 Sunglass Hut - "Sunglasses for Men, Women & Kids." Sunski - men's & women's. SUNSPEL - since 1860. Men's. SunVoss - since 2009. Men's & women's. SURFACE TO AIR - men's & women's. 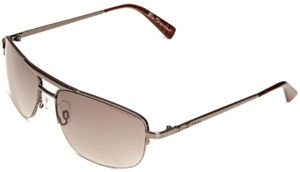 TAG HEUER - men's & women's eyewear & sunglasses. TD TOM DAVIES - bespoke and ready-to-wear men's & women's eyewear. The Custom Shop Clothiers - since 1937. Men's eyewear & sunglasses. TIFFANY & CO. - women's. TOD'S - Made in Italy since 1920. Men's. TOD'S - Made in Italy since 1920. Women's. 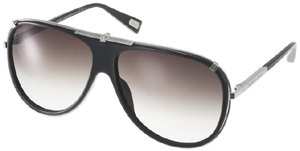 TOM FORD 108 - worn by James Bond in 'Quantum of Solace'. Triwa - men's & women's. VICOMTE A. - men's & women's. Vilebrequin - men's & women's. 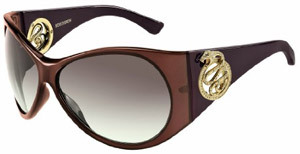 VINTAGE DESIGNER SUNGLASSES - Amazon.com. WARBY PARKER - "Warby Parker was founded with a rebellious spirit and a lofty objective: to create boutique-quality, classically crafted eyewear at a revolutionary price point." Men's & women's optical & sunwear eyeglasses. 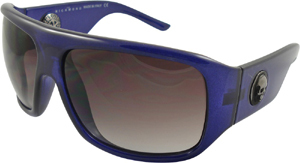 Wayfarer - men's & women's by Ray-Ban. Yayoi Kusama for Louis Vuitton - women's. YVES SAINT LAURENT - men's. YVES SAINT LAURENT - women's. ZADIG & VOLTAIRE - men's. ZADIG & VOLTAIRE - women's. 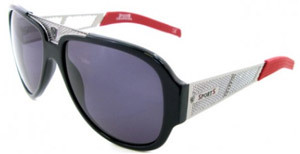 ZEAL OPTICS - men's & women's sports-eyewear: polarized, photochromic.